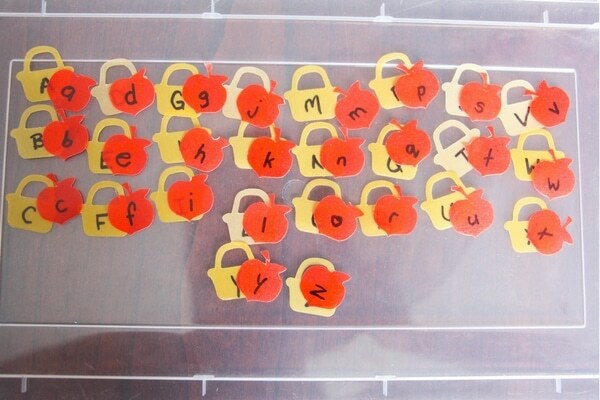 Ready for fall, this Apple Matching Letter Literacy Sensory Bin is great for bringing a fresh autumn approach to identifying upper- and lower-case letters. If you had apple scatter beads or even apple print outs, those would make a great substitute for the confetti. 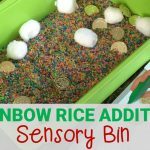 Use this sensory bin as a base idea and make it work with what you have available to you. You can even swap out the apples for your own favorite fall harvest. For this bin, we used a rolling bin from Ikea but any large rolling storage bin or water table would be great for making this an easy set-up and helping kids keep things tidy. My confetti needed the basket handles popped out, so I basically popped out all basket handles and matched them to the apples. 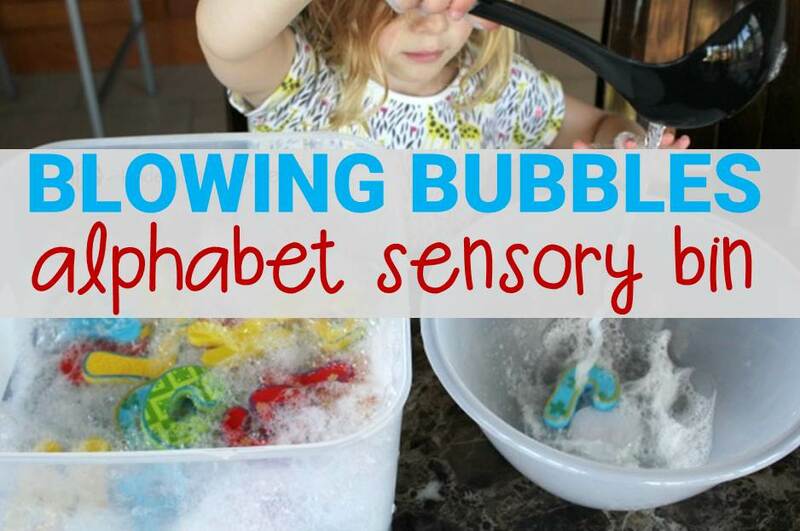 Try to make a couple sets of the alphabet if you are going to have more than one child using the sensory bin at a time, so that kids can work their way through the alphabet. 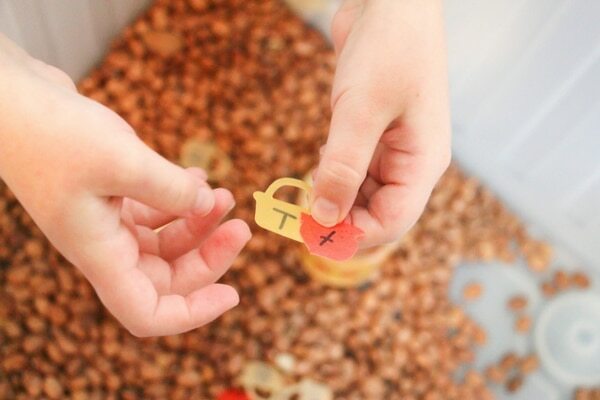 Use your permanent marker to write out upper and lower case letters on the confetti. 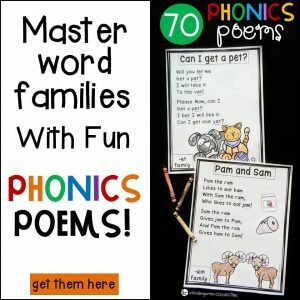 I made two sets which is great for preventing conflict and can also facilitate a game of trying to take turns finding each letter – or alternating finding letters, etc. 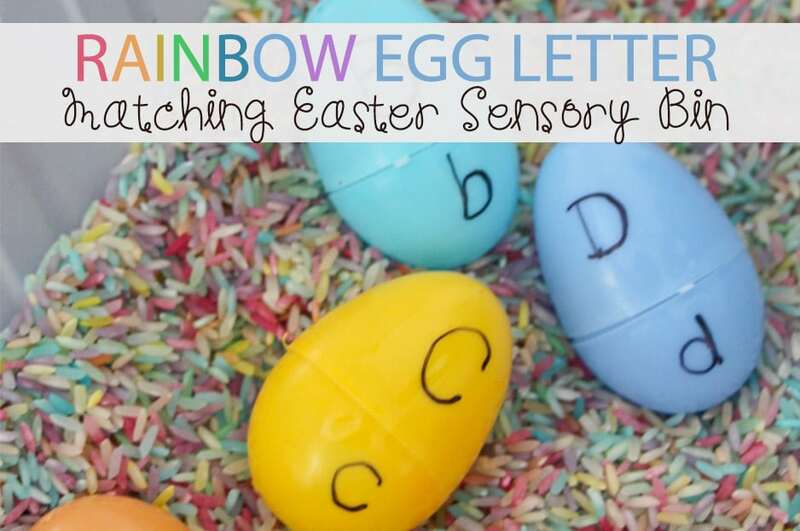 I don’t force the matching when the kids are playing with this bin – because all of the confetti has letters, it naturally comes about when they notice that the apples are lower case and the baskets are upper case. 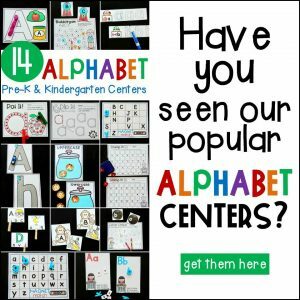 This also allows the children to express what they are interested in at the time – spelling out words, identifying letters, etc. I think it’s absolutely fine if a child is not yet ready for alphabet matching and they find a different use for the letters in this bin. 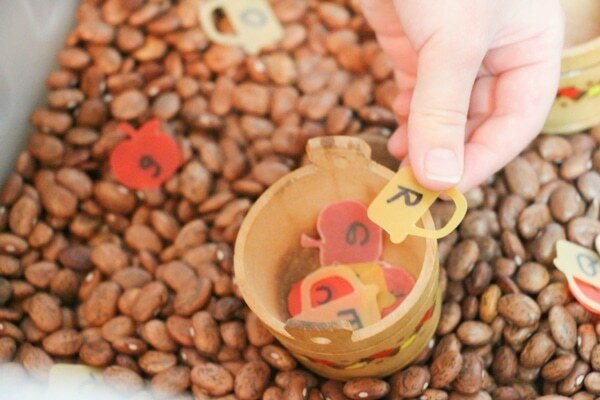 The little apple baskets I use in our apple pie sensory bin served as a perfect receptacle for the matched pairs of letters. Small cups or jars would also work well. 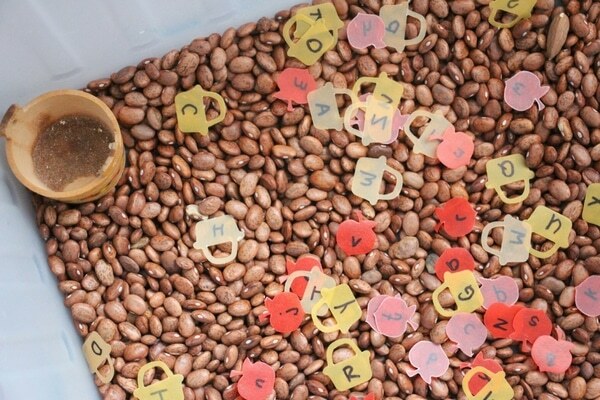 This is a great bin to provide a low-key way for students to practice their upper- and lower-case letter identification and it also provides opportunities for cooperative play. 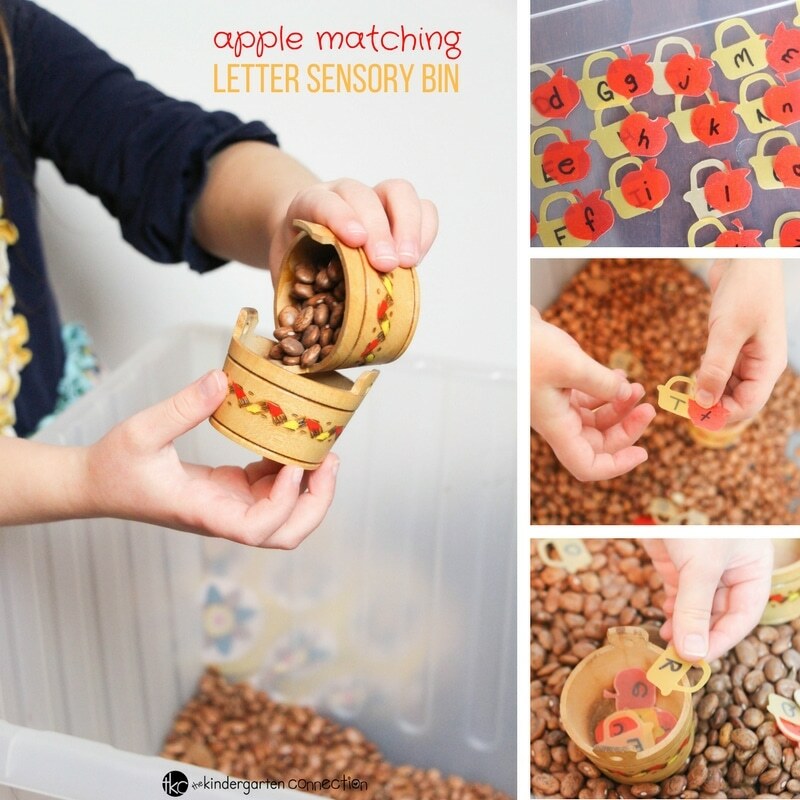 What substitutions would you make to our Apple Matching Sensory Bin to make it work for your classroom? 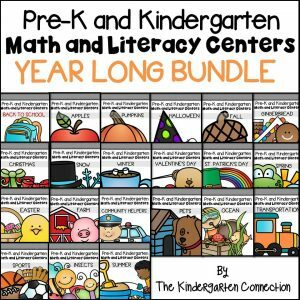 Alex I love your blog and use a lot of your ideas. 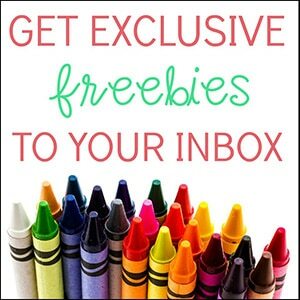 Thank so much for sharing! I like your apple sensory bin and am wondering where you get the little confetti pieces. Also, is there a particular place you get tiny baskets and scoops for the sensory bins? Thank you so much for the compliments! I will pass on your message to Alex. 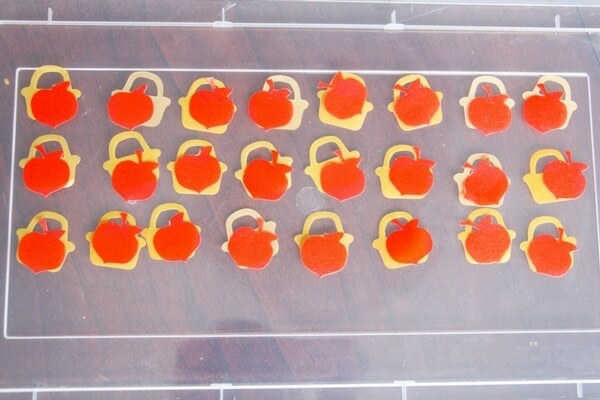 For this apple matching activity you can find similar supplies at your local dollar store or craft store.